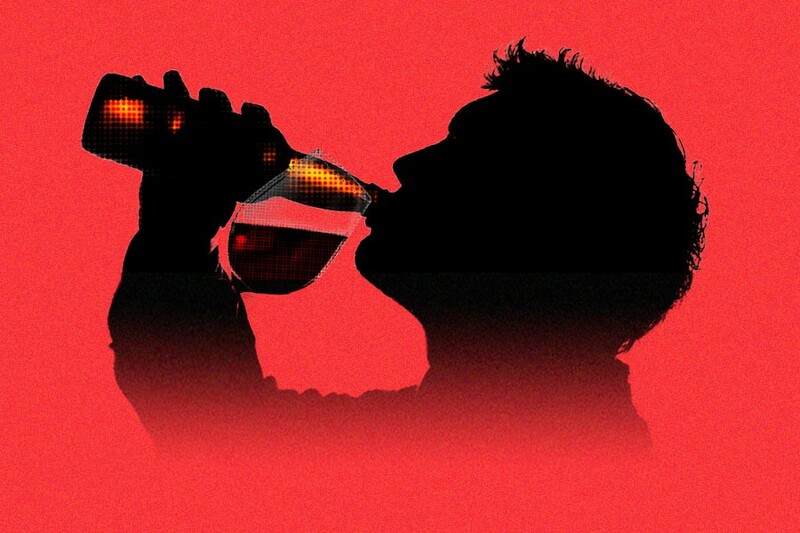 Is Ditching Hard Liquor for Beer and Wine an Effective Way to Curb Your Drinking? More and more of my friends have quit drinking hard liquor of late, instead drinking only beer and wine in an attempt to curb their alcohol intake. Their logic seems to be somewhat sound: Because liquor fucks you up harder/faster, they believe that drinking only beer and wine helps them better moderate how much alcohol they’re actually drinking, meaning they get less wasted on any given night out. In fact, if you’re counting calories, hard liquor may be a better choice when compared to beer or wine (although, that only applies when you avoid high-calorie mixers, like soda or orange juice): A 12-ounce Budweiser contains 146 calories, while a 1.5-ounce shot of tequila contains only 69 calories. Meanwhile, a five-ounce glass of zinfandel contains 129 calories, while a 1.5-ounce glass of whiskey contains 97 calories. Hard liquor is also a better choice if you’re counting carbohydrates, since it’s 100-percent carb-free. Meanwhile, the average 12-ounce beer contains roughly 13 grams of carbohydrates, and a five-ounce cabernet sauvignon contains approximately four grams of carbs. It’s worth noting, however, that hard liquor is devoid of all vitamins and minerals, while beer and wine contain small amounts. In other words, straight-up hard liquor may actually be the healthiest alcohol available if that’s what you’re concerned about. But if you really want to curb your drinking, rather than simply switching to another alcohol beverage that you’re bound to drink too much of, consider taking a sober month (or two… or three) to reassess your relationship with alcohol. Once you take a step back, you might be surprised to find that you can go back to drinking without feeling the need to get blackout drunk off of the beer and wine that you swapped for gin and tonics.